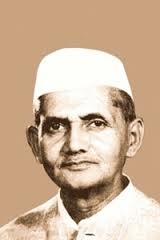 Today is the birthday of 2nd Prime Minister of India Mr. Lal Bahadur Shastri. Mr. Shastri ji became a national hero following the victory in the Indo-Pakistan War of 1965. His slogan of "JAI JAWAN JAI KISHAN” became very popular during the war and is remembered even today.